Hey !!! Are looking to make design personalized Hindi movie film poster for your wedding, you are at the right place. Contact us on mobile no. 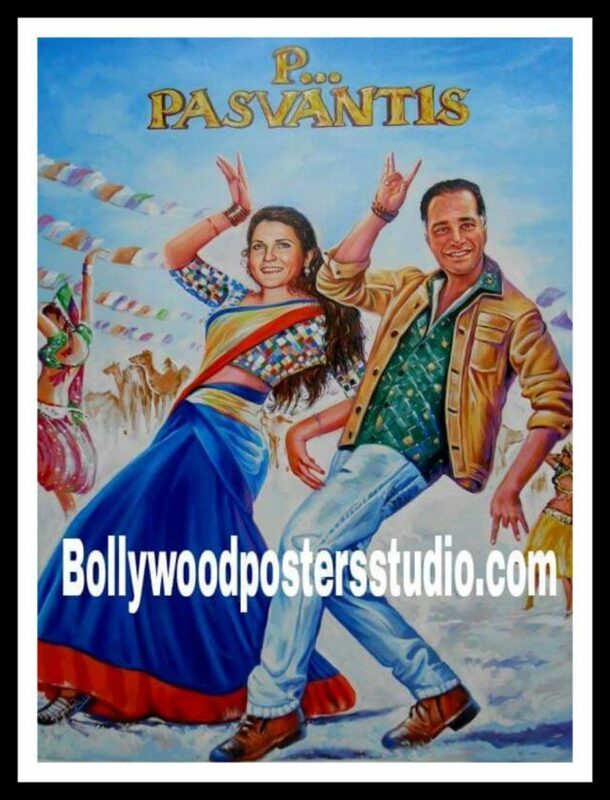 +919022034923 / +917666866256 or MAIL US AT: bollywoodpostersstudio@gmail.com Bollywood posters studio online store will make your hand painted design personalized Hindi movie film poster with one of the highly qualified and experienced ARTIST in their work. These personalized Hindi movie poster artist will make your genuine and authentic poster on oil canvas. You just need to send your photos via email : bollywoodposterstudio@gmail.com and our artist will add your face on personalized Hindi movie film posters. Personalized Hindi movie poster artist have experience of more than 20 – 30 years, worked for old Indian Hindi film industry and serve the purpose. Now these billboard poster painters and hoarding artist made a come back by making custom Bollywood posters. The perfect gift to flaunt your loved ones, make them feel special and precious by gifting them the priceless and longlasting gift. Our Hindi movie film poster artist make posters with accuracy even they look after the minute details like jewellery, accessories, make-up, clothes. Make your own personalized gift for wedding, birthday anniversaries, baby shower, valentines etc. at very affordable rates. Grab your very own personalized Hindi movie film poster at Bollywood posters studio Mumbai, India. TODAY !! !